Don’t roll your eyes, I know what you’re thinking, “Stuffed marrow? When it comes to vegetarian misery, it’s up there with the brown rice and kidney bean salad …or anything involving couscous or a that stalwart of the ‘vegetarian option’, the butternut squash”. 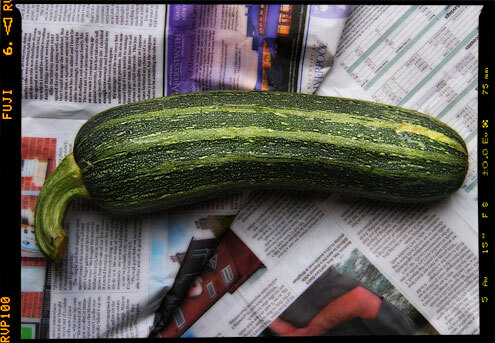 Relax, this is like no other marrow you’ve stuffed before, and as well as being very tasty it is a great way to use up that mutated elephantine courgette which has been neglected too long and embarked on an invasion of the neighbour’s garden in search of lebensraum. Serves: This recipe is meant to serve 4 although we managed to polish it off between the 2 of us. In our defence it wasn’t an enormous marrow. Don’t forget to cook your lentils first. Meanwhile, preheat your oven to 180°C/Gas Mark 4. 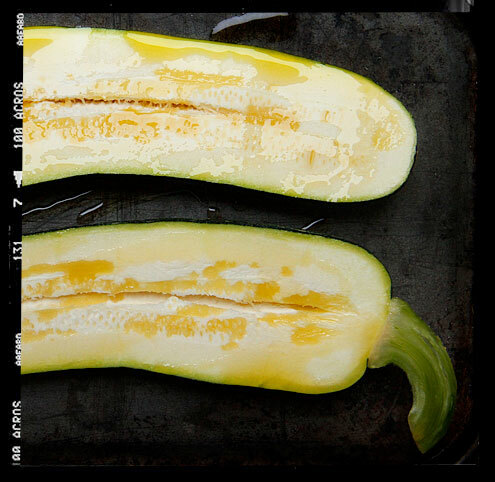 Cut the marrow in half lengthways, drizzle with olive oil and bake in the oven for about 20 minutes, until soft but still firm. When cool enough to handle, scoop out the seeds and season generously with salt and pepper. While your marrow is baking, heat a little oil in a pan, add the onion and cook gently for about 10 minutes, until softened but not coloured. Add the pepper and garlic and cook for a further 15 minutes. Add the anchovies, spinach and tomatoes and cook for about 10 minutes until the tomatoes have reduced and thickened. Stir in the cooked lentils and season to taste. Spoon this mixture into the marrow and sprinkle with the feta cheese, basil and Parmesan. Return to the oven and bake for about 20 minutes, until golden brown. Verdict: A lot, lot tastier than any marrow I’ve stuffed in the past. If you’re going to stuff a marrow this is the way to stuff it. Entertainment: The heavily formatted and increasingly annoying ‘Tom Kerridge’s Proper Pub Food’. 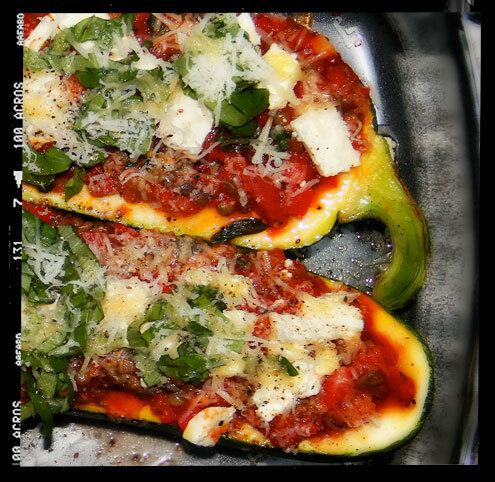 Fantastic recipe, you made marrow taste exciting! I added extra anchovies, because I always do, and a pinch of dried chilli flakes. Now work your magic on runner beans and iceberg lettuce.